If you or a family member has been involved in an auto accident or other motor vehicle accident in South Florida, it can be difficult to know where to turn. That’s understandable, as being the victim of an auto accident is a disorienting experience, and you can feel like you’re very much alone. In fact, one of the benefits of contacting an experienced Lake Worth auto accidents lawyer is that you suddenly have someone who understands what you’re going through and can help you get through the process. Never mind the fact that they can also provide invaluable legal advice and represent you should you decide to pursue a lawsuit. What should you expect from a lawyer that is representing you in a South Florida motor vehicle accident case? For one, they should be qualified, capable, and have a track record of producing results for their clients. At Gonzalez & Cartwright, P.A., we have been nationally recognized by Martindale-Hubbell as an AV-rated firm—the highest possible rating a law firm can achieve. 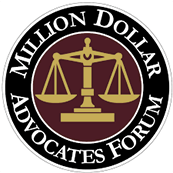 We have also been recognized by Super Lawyers and the Million Dollar Advocates Forum, among others. But a Lake Worth personal injury lawyer should also provide you with the personal attention and respect you deserve. At Gonzalez & Cartwright, P.A., we offer that personal attention; in fact, our clients receive the personal cell phone number of the attorney representing them, so said attorney is never more than a personal phone call away. We also understand the needs of the local community, including the local Hispanic community. 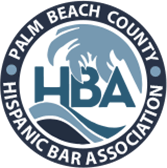 That’s why we have attorneys and staffers who speak fluent Spanish, and those same lawyers and staffers also have a long history of volunteering or working for community organizations. Of course, the primary job of a Lake Worth car accident lawyer is to protect your legal rights and work toward getting you full and fair compensation for the property damage and injuries you have suffered. What is this process like? In select cases, this requires a long process that concludes in a jury trial taken to a verdict, but in most cases, the process is much shorter. At Gonzalez & Cartwright, P.A., we put our skills and experience to work to negotiate behind the scenes with the insurance companies and the attorneys representing the defendant(s), and we can often help our clients reach a fair settlement without the emotional investment of a trial. In fact, attorney Charles Cartwright spent 15 years working for insurance companies before co-founding the firm, so he fully understands the tactics they use in an attempt to avoid paying fair compensation to auto accident victims. What kind of damages do we typically recover for our clients? Hospital bills and other medical bills, as well as the costs of rehab and/or physical therapy. And while our work can be difficult, it’s rewarding knowing that we are always working to help our clients get their lives back on track and get the full and fair compensation they deserve. So if you or a loved one has sustained injuries in a motor vehicle accident and you believe the other driver was negligent, don’t hesitate to contact our Lake Worth office via phone or online contact form to schedule a free consultation today. During this initial consultation, we will provide our honest opinion as to the prospects for your case and advice on how to proceed. Our office is conveniently located in the downtown area on Lucerne Avenue. If you are unable to make it to our office, we are available to travel to your home or hospital room. Understandably, many of our prospective clients are unable to travel due to the nature and severity of their injuries. Every case is different, and ultimately, your case is worth what you and an insurance company agree it is worth, or the amount you are awarded in the wake of a successful verdict. But with decades of experience pursuing legal claims on behalf of our clients, we can reliably estimate what your case is worth and use that as the basis of negotiations with the at-fault individual’s insurance company or attorney. Generally speaking, the value of your case is largely determined by the nature and extent of your injuries, though other factors can come into play as well, include lost earnings. FAQ: What types of auto accidents do you handle in Lake Worth, FL? FAQ: Can I sue the driver of the car in which I was a passenger if he caused the accident in which I was injured? Yes, assuming the driver of the car in which you were riding is at least partially responsible for the accident. In that case they can be held liable for the same kind of damages as would the driver of another motor vehicle.